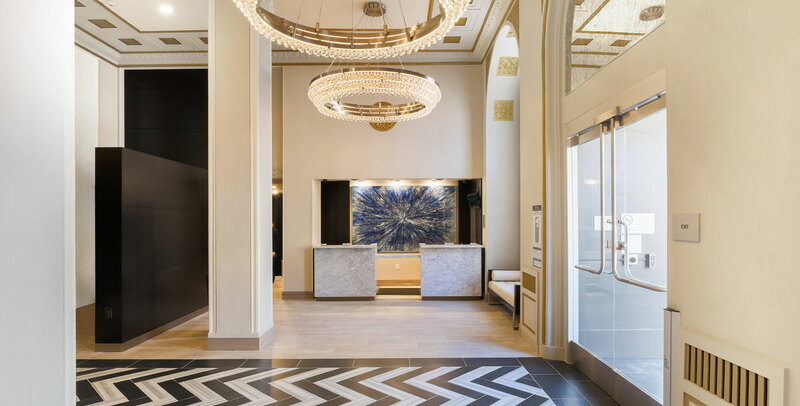 Brief: The Courtyard Marriott Union Square is located in the Art Deco influenced 1929 Vantaggio building in the Nob Hill area of San Francisco and is a historic renovation and adaptive reuse of an existing structure formerly dedicated to student housing and a conversion to hospitality use. 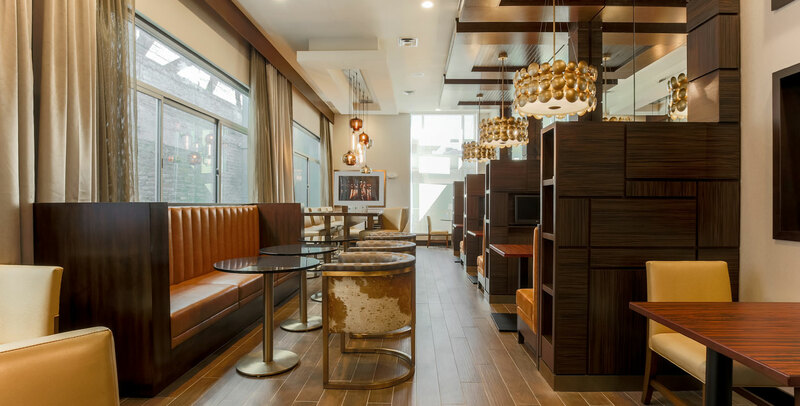 Concept: This project features a custom, locally inspired design that takes advantage of the original structures rich art deco detailing and high ceilings while incorporating a very current and modern lux interior theme throughout. 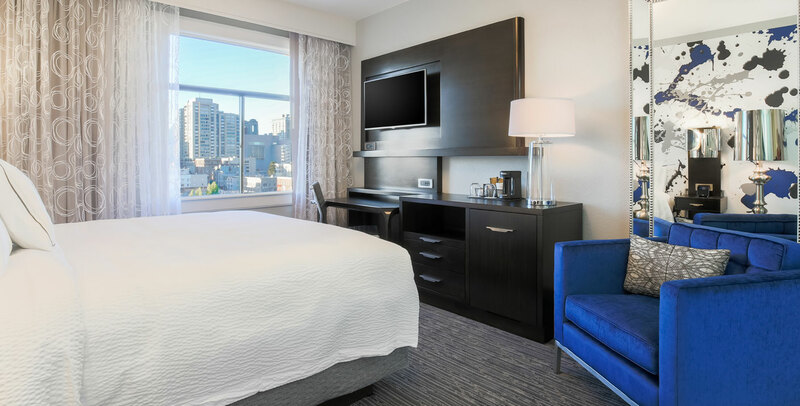 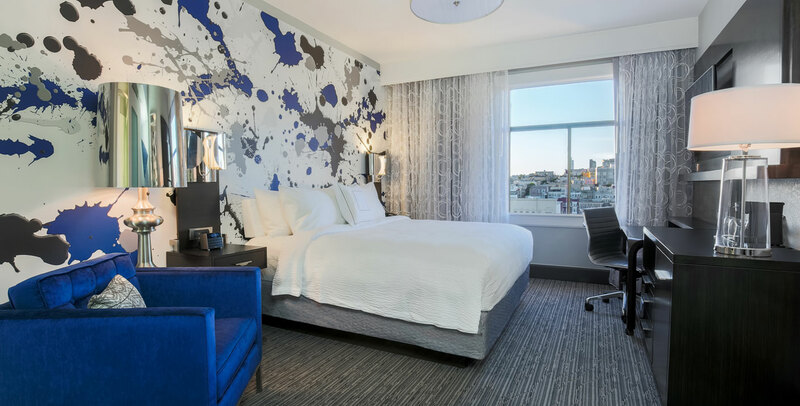 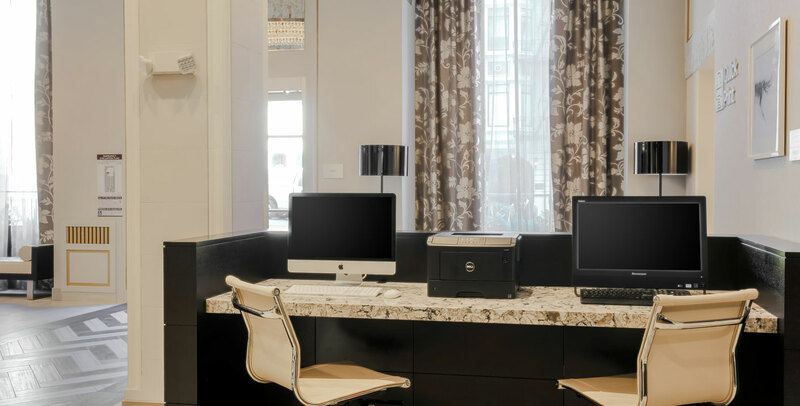 As a very boutique version of the Courtyard Marriott brand, this hotel is well positioned to compete with its progressive neighbors in a rich, historic urban setting.